1 Internal Impedance Impedance ≤50mΩ Under 20±5℃ Environment Temperature , the Usage Frequency of Fully Charge( 1KHz) , Use AC Internal Impedance test machine to test. 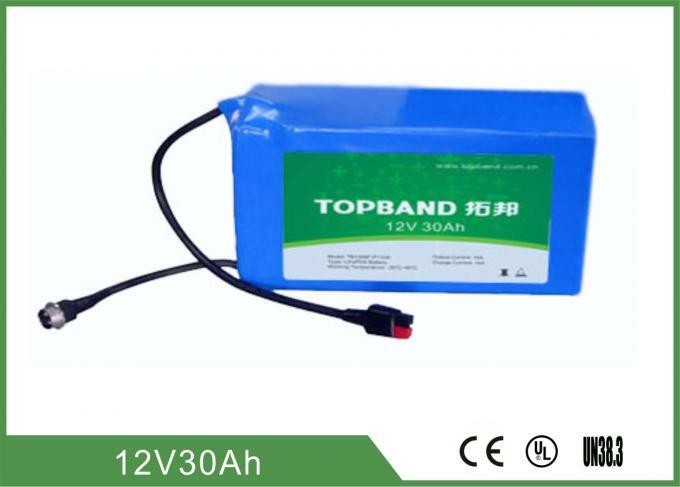 2 Nominal Capacity 30Ah Rest for 0.5~1 hour after fully charge, Using electrical loader to connect with the battery output port, and discharge with constant current 0.2C till it can’t discharge. Do the cycle three times, if there is one time that the discharge time is equal or more than 285minute , you can stop. 3 Short circuit protection No load ability after short-circuit .comeback capability of loading after remove the lead away, Short the pack with the lead (<50mΩ). If remove the lead away, connect the electronic loader with P+, P- of protection board again, so load ability comes back. 4 Allowed Maximum continuous charge Current 40A charging with 40A for more than 0.5h and the added temperature of battery pack less than 20℃. 5 Allowed Maximum continuous discharge Current 40A Discharging with 40A for more than 0.5h and the added temperature of battery pack less than 20℃. Every battery pack can be customized according to your specific demand. OEM is acceptable.